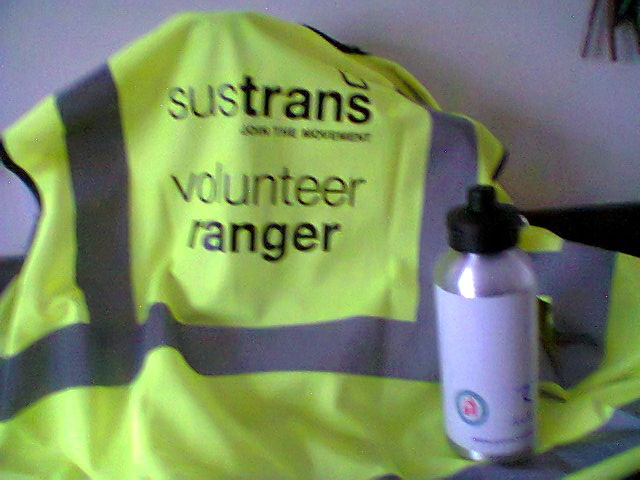 I became a Sustrans volunteer last year as I was impressed with the cycle paths they help organise. On 20th February it was my local area’s annual litter pick on the cycle path which utilizes an old railway and starts in Cross Hands and finishes in Llanelli. In the spirit of Sustrans I cycled to the venue from my village and then cycled back on a slightly different route. The stretch we were going to litter pick was from Cross Hands to just before Tumble. The day was shared with “Keep Wales Tidy” and we collected 20 bags of litter. Clearly there is a drink problem in this area as there were numerous beer cans and a large collection of some Polish bottled beer. One of the “Keep Wales Tidy” group explained that many small mammals crawl inside fizzy drink cans for the sugar but unfortunately cannot then find the way out. He has found many small skeletons in these cans. Similar scenarios can be found in discarded bottles. What is so hard in carrying away empty containers? A worthwhile day and of course a chance for a bike ride, oh and I was given a nice drink’s bottle for my trouble.